Q. Do you buy Diamonds? Q. Do you buy Gems? Q. How do you buy from your business customers? Q. What is the composition of Canadian Silver Coins? Q. 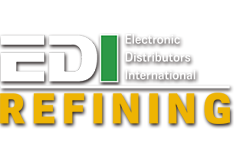 What makes EDI different than other online gold mail in companies? Q. Is shipping your gold safe? Yes. Only if the diamond is 0.25 + Carat in size, otherwise we do not credit any value towards diamonds. No. We do not buy Gems. We also don’t pay for the weight of Gems found in the gold you send in. Feel free to remove all Gems prior to mailing your items in. Ever wonder why there are so many gold buyers popping up, hotel gold buyers and gold parties etc? Unfortunately the industry has taken a bad rap from a lot of bad apples taking advantage of people in tough times and people not knowing the true value of their jewelry. That’s where EDI is different; we offer great service and pay fair rates to everyone! Please do your homework when deciding to sell your precious metals. Your items are valuable and you deserve to get fair value for those items. How do you buy from your business customers? We perform a Melt and Assay Service; Material is melted into a homogeneous bar. The bar is then assayed for the gold content and we pay based on the total amount of gold contained in the bar. We only provide this service to registered businesses. What is the composition of Canadian Silver Coins? What makes EDI different than other online gold mail in companies? There are a number of things that set us apart from the competition. •	We call/email price offer! The competition just sends you a cheque and gives you limited time to review and mail the cheque back to cancel the sale. 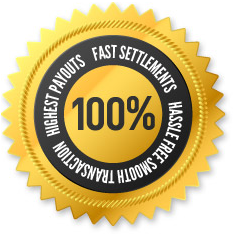 •	We pay a minimum of 70% of your total gold value. These are just a couple examples of why we are a top choice when selling your gold. Is shipping your gold safe? It is safe to ship your precious metals if you are dealing with a reputable business and your items have been insured. Jewellers, Bullion Dealers, Refiners and many more ship precious metals daily. It is standard business practice.